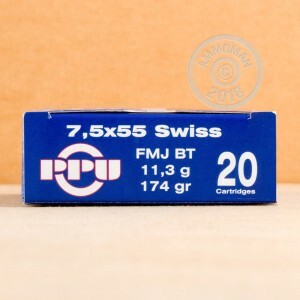 This 7.5x55 Swiss ammunition from Prvi Partizan is a high quality, new production alternative to military surplus ammo. 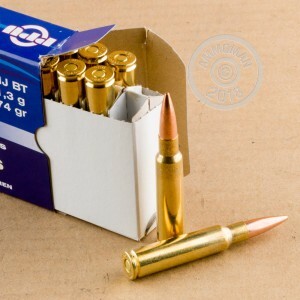 Manufactured in Uzice, Serbia, this ammo fires a 174 grain full metal jacket bullet and delivers all of the Swiss cartridge's famous accuracy and reliability. Unlike military ammo, which uses Berdan primers, these cartridges use non-corrosive Boxer primers. This is a particular advantage to reloaders, as the spent Boxer primers are easier to remove from the brass. 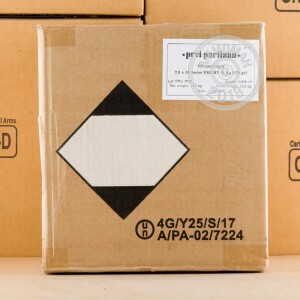 Buy a few of these 20 round boxes or check out the rest of AmmoMan.com's great selection. All orders over $99 come with free shipping!